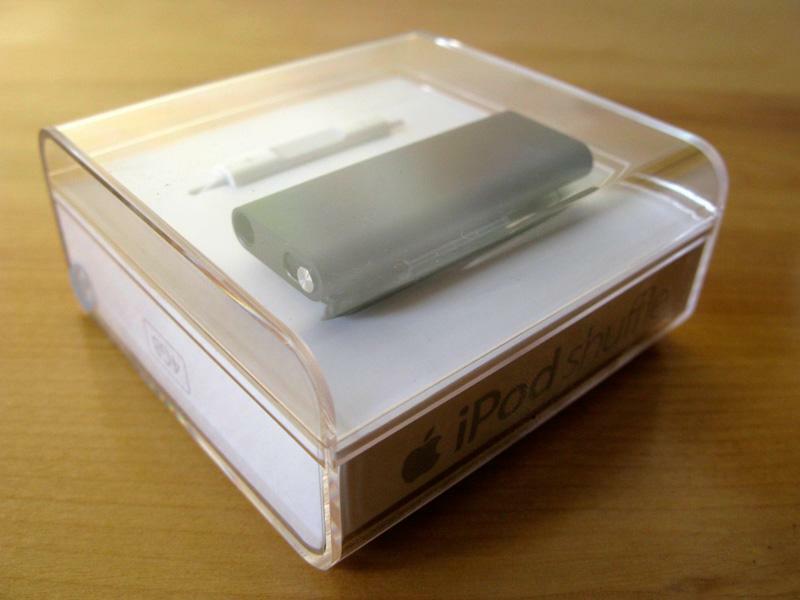 When Apple first unveiled the iPod shuffle in January 2005, it was half inspired by the nature of digital music. Most people had always assumed that any digital music player had to have a screen, and this had led to a rash of very low-cost players that often had only two- or three-line displays and tiny controls. But by taking a gamble and assuming people wouldn't mind playing music at random, mimicking a radio station, Apple had managed to create a device that had full-sized (if limited) controls without pushing up the size or the price. As a result, the tiniest of iPods has, from its launch, always had at least a mild amount of success. It became a sometimes ideal choice for the gym or for a run; a device small enough to be almost unnoticeable and without a screen to break has had an unexpected but sustained appeal for the past four years. The second-generation iPod shuffle of September 2006 has an at times almost cult-like following. While it was still unlikely to sway those who demanded a display, it was what you might call functionally "perfect:" it accomplished the goal of having a very compact, screenless, wearable player in style. That the company and its audience liked it was likely borne out by Apple leaving the design virtually unmodified for two and a half years. Aside from increasing the capacity and changing the color mix, what could Apple realistically do without breaking the formula? And it's here that the other half of the iPod shuffle's reason for being becomes clear: it was also a calculated marketing decision. Apple chief Steve Jobs mentioned in the iPod shuffle's Macworld keynote introduction that needed a player to conquer the low-end flash player market, and from then on the shuffle's design has always been partly dictated by its role as the simplest and least expensive iPod available. Cynically, one could argue that it exists chiefly to upsell buyers to the iPod nano, where competition on price is less necessary and where it's easier to entice customers with iTunes Store music and video purchases. Accordingly, the third-generation iPod shuffle was virtually destined to pose a problem for Apple before the first concept sketch was ever finished. When you've largely mastered a design but are forced to refresh it with something new and cheap to maintain interest, where do you go? For a company lately guided by "less is more," the answer is minimalism; and as we'll soon see, that guides every facet of the new iPod, for better or for worse.